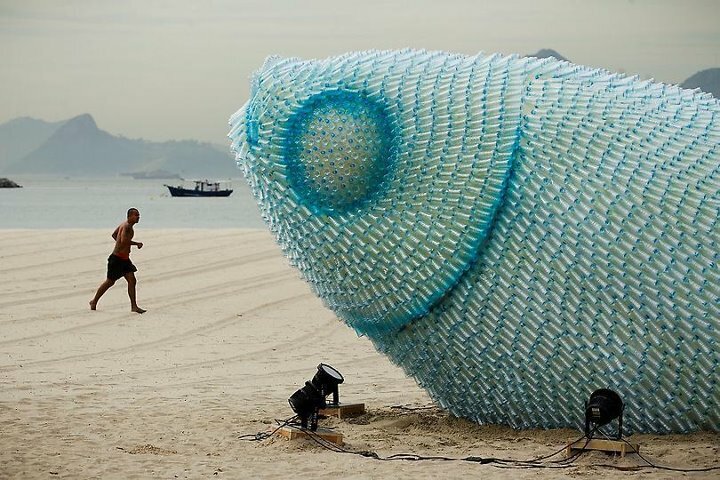 A fish sculpture constructed from discarded plastic bottles rises out of the sand at Botafogo beach in Rio de Janeiro. The city is host to the UN Conference on Sustainable Development, or Rio+20, which runs through June 22. 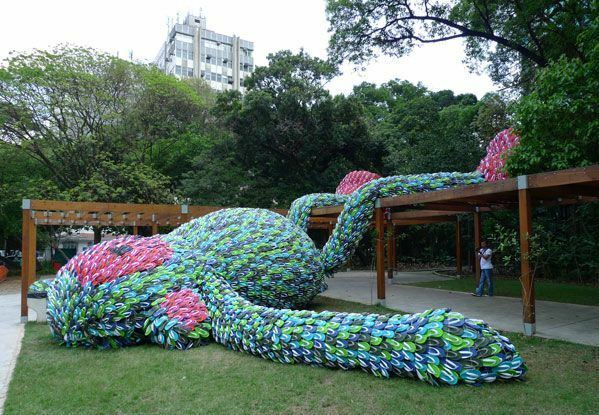 The Fat Monkey is a site specific work which was created out of the question from the Pixelshow to make a sculpture during their conference in 2010. Made with the help of local students and made from the brazilian icon; the flip flop which obviously works as one of the 10.000 pixels. The fat monkey is a work in the series Obeastitas.